On Friday, November 9, 2018, over 100 attendees participated in the annual Symposium of the Traffic21 /Mobility21 Deployment Partner Consortium. Participants included consortium members from the public and private sectors along with faculty and students. 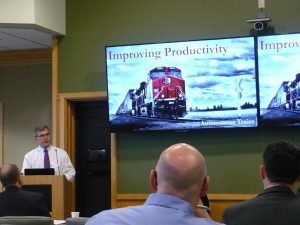 The symposium is sponsored by the Carnegie Mellon University Traffic21 Institute and Mobility21 National University Transportation Center and held on CMU’s campus. The group was welcomed by Ramayya Krishnan, Dean, Heinz College of Information Systems and Public Policy. He thanked everyone for their involvement and critical role in providing the “real life” connection to the research. Then Chris Hendrickson, Director, Traffic21 Institute and Raj Rajkumar, Director, Mobility21 National University Transportation Center provided an overview of both Traffic21 and Mobility21 activity and plans. 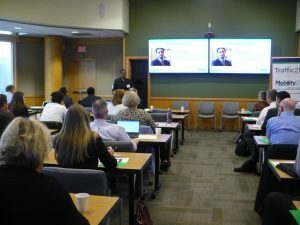 The day included three panels focused on industry, government, and community along with lots of audience participation. 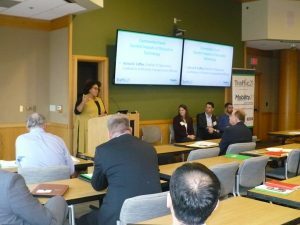 Each panel featured thought leaders who shared their perspective on how new transportation technology is impacting industry and communities and and how research or education might address these real-world needs. 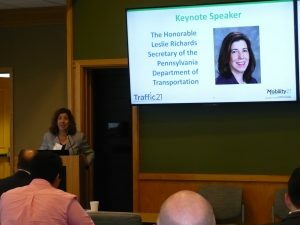 The keynote speaker for the event was Leslie Richards, Secretary of the Pennsylvania Department of Transportation. Secretary Richards shared her thoughts on the future of transportation in the commonwealth, the new autonomous vehicle testing policy, and the challenges of keeping up with all the changes. She also spent time answering questions from the symposium attendees. The day concluded with a research poster session and networking reception. 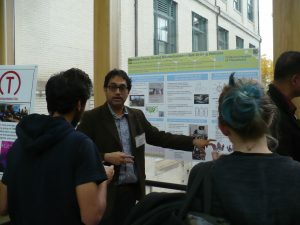 Over 16 research projects were featured during the event. 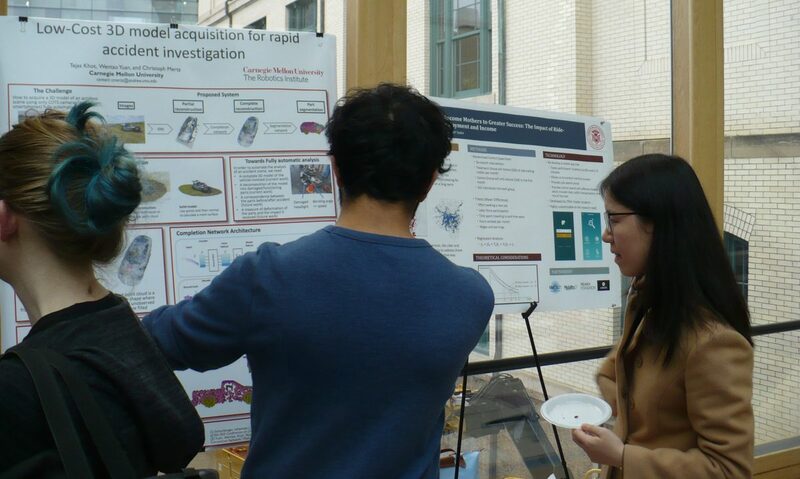 Researchers were able to share information about their projects, exchange ideas with attendees, and even forge some new partnerships. 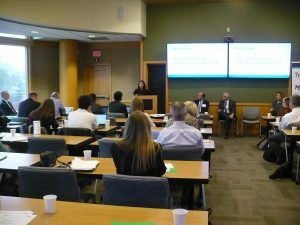 Putting our research, development and deployment approach into action – the symposium provided an opportunity for interaction and discussion among researchers, students and deployment partners. Conversations were held not only during the formal program, panels and poster sessions, but during breaks and over lunch. Tackling the multi-faceted nature of Mobility21 objectives requires coordinated research, education, workforce development and technology transfer. This work is supported by researchers spanning multiple disciplines such as engineering, computer science and robotics, public policy, urban design, information systems and data analytics. Deployment Partner Consortium members represent public agencies, non-profit organizations, private sector companies, and other research institutions who actively support Traffic21 and Mobility21 research. Learn more about the Deployment Partner Consortium by clicking here.